Politicians of all stripes descended on Alberta’s largest city this week for the annual Calgary Stampede festivities. Though most of them have probably never ridden a horse or woke up at 5am (or earlier) to start their day on the farm, they were almost all brandishing big shiny belt buckles, wrangler-style shirts and cowboy hats of various sizes (and if they are lucky, they weren’t wearing them backwards). 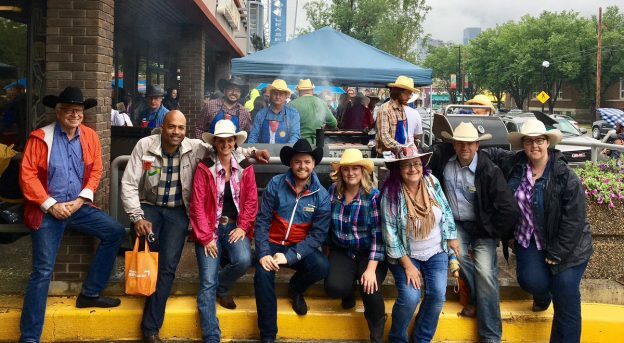 Alberta’s NDP caucus held their annual summer caucus meeting in Calgary this week, which allowed most of the 54 NDP MLAs to scatter across the city to attend pancake breakfasts and BBQ lunches that could be found on almost every street corner this week. 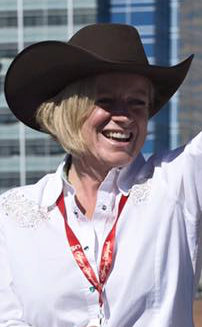 The NDP had a particularly strong presence at Stampede events this year, signalling what many political watchers already believe – that Calgary will be a major battleground in the next provincial election. Calgarians elected fifteen NDP MLAs in the Orange Wave of 2015 but the party still remains organizationally weak in this city. Premier Rachel Notley and various cabinet ministers used the week in Calgary to make a series of funding announcements, including loosening restrictions on restaurant patios, construction industry tax credits, improvements to the Canada-Alberta Job Grant and business grants for Alberta’s food processing and booming craft beer industry. 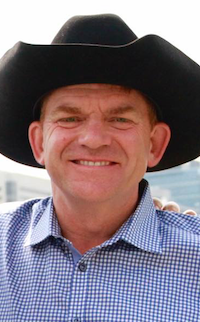 Already campaigning for the leadership of the currently non-existent United Conservative Party, Brian Jean was spotted attending some events that a leader of the right-wing Wildrose Party would not expected to be seen at – such as the annual United Nurses of Alberta BBQ and LGBTQ events. This is likely an attempt to differentiate himself from his social conservative leadership rival Jason Kenney. Kenney, who is earning a reputation as the potshot king of Alberta politics, offered to pay for Notley to take a course in economics this week. Notley, who has a Bachelor of Arts in Political Science from the University of Alberta and a Law Degree from Osgoode Hall, rightfully pointed out the arrogance of Kenney’s comments. 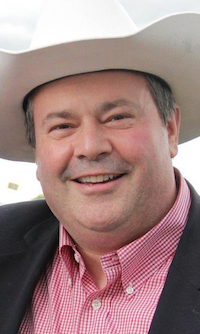 Meanwhile, Alberta Together, a political action committee for the Alberta Party, attracted a sizeable group of disgruntled former PC Party members unhappy with Kenney’s leadership to an event this week in Calgary. By the end of Sunday, most of the politicians visiting Calgary will have hung up their cowboy hats and packed away their boots and denim until next year. 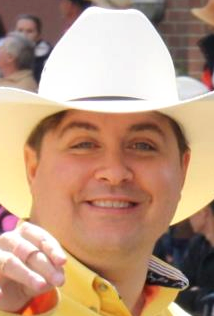 But while the Calgary Stampede may be the biggest political event of the season, it is only the beginning of what will be a summer full of political campaigns and maneuvering. The tweet appeared to have been sent in response to Trudeau’s initial plans not to attend this year’s Stampede, which he later changed (Trudeau was attending the G20 meeting in Hamburg, Germany earlier this week). The tweet, which was deleted moments after it was posted, was first reported on this blog last week. This entry was posted in Alberta Politics and tagged Alberta NDP, Brian Jean, Calgary Stampede, Gutless Puke, Jason Kenney, Justin Trudeau, Rachel Notley, Rick Strankman, United Conservative Party, Wildrose Party on July 15, 2017 by Dave Cournoyer. On July 6, 2016, Jason Kenney officially launched his campaign to capture the leadership of Alberta’s Progressive Conservatives and lead them into a merger with the right-wing Wildrose Party. After 19-years as an Ottawa politician, Kenney was easily able to stage a hostile take-over the broken and battered former governing party. One year later, Kenney is campaigning to convince PC and Wildrose members to approve the creation of a new party in a July 22 vote, while also campaigning for the leadership of the yet-to-be created United Conservative Party (whether Conservatives are actually more united now is a completely different question). A vote of 50 percent plus one is needed from PC Party members to approve the deal, but a steeper 75 percent support vote is needed from Wildrose Party members to fulfill their end of the agreement. As has been pointed out before, it is expected that many conservative activists will purchase memberships in both the PC and Wildrose parties in order to vote twice on July 22. 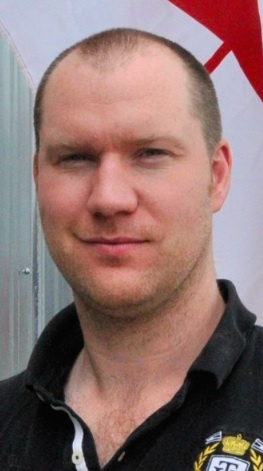 Some Wildrosers are nervous that the three-quarters support could be hard to achieve. “On most days it can be hard to get 75 percent of Wildrose members to agree what day of the week it is,” one former Wildrose Party member told me, referring to the raucous reputation and anti-establishment tendencies of the party’s membership. But with the political careers of so many prominent Conservative politicians tied to the success of the July 22 vote, it is hard to believe it would be allowed to fail. But just in case, a Plan B might be needed. Four candidates have officially declared their interest in running for the leadership of the new United Conservative Party, when and if it is actually formed: Kenney, Wildrose Party leader Brian Jean, Calgary lawyer Doug Schweitzer and Wildrose MLA Derek Fildebrandt. Both Jean and Kenney have essentially been using their parties as vehicles to promote their leadership campaigns while also setting up separate political action committees. Fildebrandt has created United Liberty PAC and his leadership bid appears to be at least partly inspired by the strong showing by Maxime Bernier in Alberta during the recent federal Conservative leadership race. 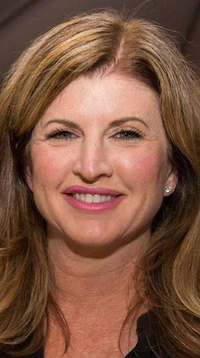 It may just be wishful thinking by some conservatives, but speculation continues that former federal Official Opposition leader Rona Ambrose could enter the race. Ambrose recently resigned her seat in Parliament and is expected to begin a new role in Washington D.C. She, along with a crowd of Conservatives MPs, also endorsed Kenney after he announced his bid for the PC leadership a year ago. While Prime Minister Justin Trudeau travelled to Hamburg, Germany to meet with world leaders at the G20 summit, some conservatives are angry he is not instead attending the Calgary Stampede. 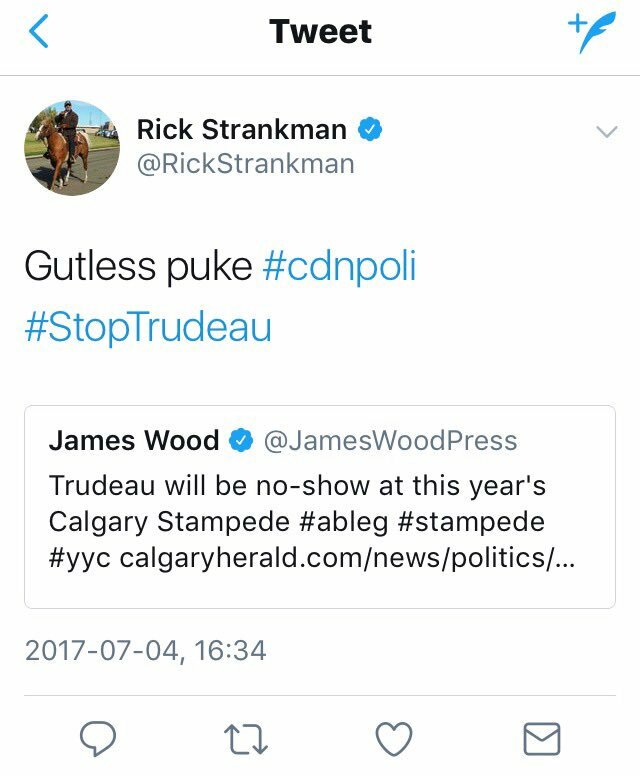 Wildrose MLA Rick Strankman, who has represented Drumheller-Stettler since 2012, posted a tweet on July 4, 2017 which appeared to accuse Trudeau of being a “Gutless puke” for not attending the Stampede (see the screenshot). The tweet was deleted moments after it was posted. 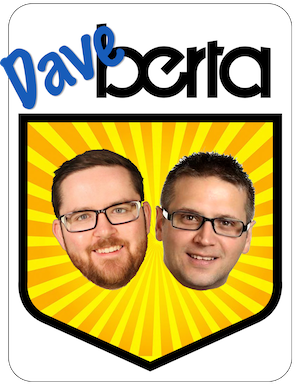 This entry was posted in Alberta Politics and tagged Alberta PC Party, Bozo-Eruption, Calgary Stampede, Derek Fildebrandt, Doug Schweitzer, Drumheller-Stettler, Jason Kenney, Justin Trudeau, Maxime Bernier, Rick Strankman, Rona Ambrose, Unite the Right, United Conservative Party, Wildorse Party on July 7, 2017 by Dave Cournoyer. 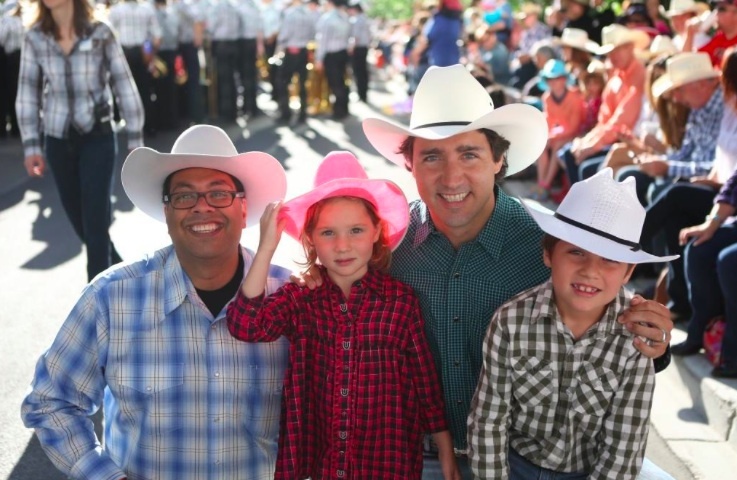 Billed as the Greatest Outdoor Show on Earth, the Calgary Stampede is a must-stop destination for political leaders of all stripes and all levels of government. The event also provides a good historical marker of how quickly the political winds of change can sweep through Alberta. One year ago at last year’s Stampede, Dave Hancock was Premier of Alberta, Jim Prentice was an unstoppable candidate in the Progressive Conservative leadership race, the memory of Alison Redford was fresh in the minds of Albertans, Danielle Smith led the Wildrose Official Opposition, the Alberta Party was still on the fringe, and the NDP were in the midst of a leadership race many political watchers saw as a sideshow. 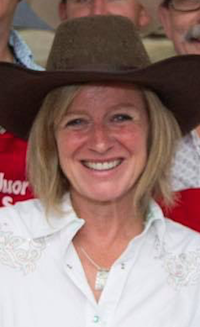 Now to this year’s Stampede, Rachel Notley is Premier of Alberta and there are 53 NDP MLAs in the Alberta Legislative Assembly (including 15 from the Calgary area), a former Member of Parliament named Brian Jean leads the Wildrose Official Opposition, former Calgary alderman Ric McIver leads a 9-MLA PC Caucus, Alberta Party leader Greg Clark is an MLA, and Mr. Prentice has disappeared from the political landscape. The changes that took place between the two Stampedes are an important reminder about how quickly political change can happen, even in a province that is known for turning political parties into governing dynasties. With the October 19 federal election less than four months away, it is also an important reminder to Conservative Prime Minister Stephen Harper that even voters in the Canadian conservative movement’s spiritual homeland cannot be taken for granted. That thought must have crossed Mr. Harper’s mind as he met with Ms. Notley for the first time this week in Calgary. The provincial election win has boosted the NDP’s credibility and organizational strength, especially in Edmonton, but it is not clear how this will translate in the federal election. Ms. Notley’s win has created opportunity for the federal NDP in Alberta, especially for candidates like Janis Irwin in Edmonton-Griesbach and Linda Duncan in Edmonton-Strathcona. As Tom Mulcair‘s federal NDP focus their resources in Quebec, Ontario and British Columbia, it is to their advantage to put the Conservatives on the defensive in Alberta, a situation that has not happened very often. Meanwhile, Liberal leader Justin Trudeau has reason to be optimistic after his party’s candidate’s came close to winning by-elections in Calgary-Centre in 2012 and Fort McMurray-Athabasca in 2014. The Liberals have also nominated a slate of high profile candidates that includes Kent Hehr in Calgary-Centre, Darshan Kang in Calgary-Skyview and Amarjeet Sohi in Edmonton-Mill Woods. The Conservatives are still expected to hold most of Alberta’s ridings in the upcoming federal election but the NDP and Liberals could make gains in the major urban centres. The truth is that federal Conservatives have always taken Alberta voters for granted, and they have had reason to. Albertans have not elected more than 2 non-conservative MPs in any federal election since 1993. 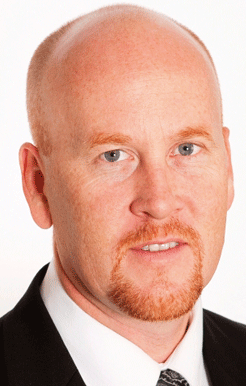 The Conservatives even held all 28 of the province’s federal ridings between 2006 and 2008. 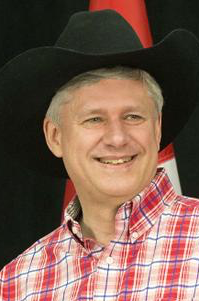 With a federal election fast approaching and and increasingly stale government approaching ten years in Ottawa, the Conservatives may need to spend more time campaigning in Alberta in the next few months, or else there could be a whole new cast of federal politicians wearing plaid shirts and cowboy boots at next year’s Calgary Stampede. This entry was posted in Alberta Politics and tagged Alison Redford, Amarjeet Sohi, Brian Jean, Calgary Stampede, Danielle Smith, Darshan Kang, Dave Hancock, Grant MacEwan, Harry Strom, Janis Irwin, Jim Prentice, Kent Hehr, Linda Duncan, Rachel Notley, Ric McIver, Stephen Harper, Tom Mulcair on July 7, 2015 by Dave Cournoyer.